I have never been a healthy eater but recently I am trying extra hard to eat better and to exercise. I recently found out that I am slightly allergic to wheat/yeast and cows milk so I am very careful what I eat. 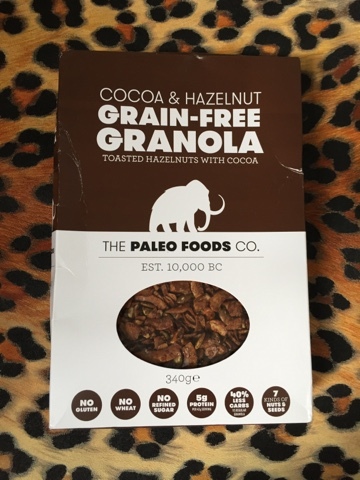 I decided to give this granola a go as it is a healthy snack I can snack on through the day. It contains 7 different types of nuts and seeds and it doesn’t contain anything artificial. It is important to eat food like this in your diet and not always stick to processed foods and since I found out I am slightly dairy and wheat/yeast intolerant I am a lot more picky with what I put into my body.